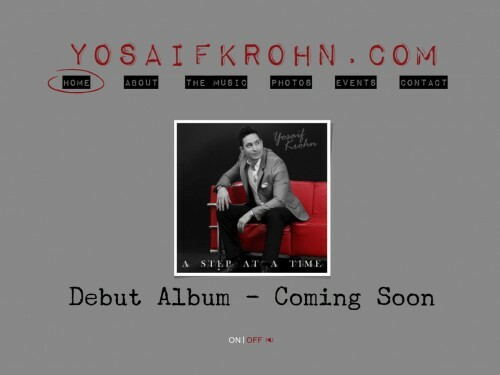 Well about a month ago we introduced you to a up and coming performer Yosaif Krohn with the single and title track of his debut album “A Step At A Time“. Well then album has been sent to duplication and the website was just launched early this morning. You can hear samplers from all 12 tracks of the album, as well as get to know more about Yosaif and his music. The url is yosaifkrohn.com. Check it out today!